This is Dr. Leung Jan of Foshans 25 Herb Dit Da Jow Recipe. 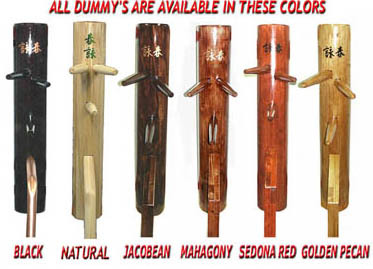 Good for all conditioning on the Mok Jong as well as Iron Palm, Fist, Bridge & Shin. Also very well suited to treat most Martial Arts Injuries, such as bruises, pulls, sprains, strains, etc. Scar Family Iron Hit Wine is one of the most powerful Iron Palm Liniments you will ever see. This Dit Da Jow Recipe is Composed of a powerful blend of Blood Invigorates, Pain relievers, Aromatics, Qi Regulators, and Bone Hardeners. Designed for the Rigors of Shaolin Iron Palm, Iron Bridge, Iron Shin and Iron Body Training. Though designed for Iron Palm Training this dit da jow formula is the most powerful bruise remover we have ever seen. With Many herbs specifically aimed at breaking and Removing Blood Stasis. Carefully prepared to exact Shaolin Recipe, Then Agitated twice a day for over a year before being bottled. As always Shaolin recipes include the rarest and most difficult to acquire herbs. Which makes them the most expensive. Try this Dit Da Jow and your will see the difference from mass produced factory Jow. See what a real Iron Hit Wine is. With its high herb count per bottle and sweet aroma. This Dit Da Jow will make you Regret the Money Spent on other so called Iron Palm Liniments you have tried/ This is truly the pride of the Scar Family. PREPARED TO THE EXACTING SHAOLIN STANDARDS OF SENG-YI(BUDDHIST MEDICINE) THESE ARE THE SAME REGION SPECIFIC HERBS THAT WERE USED FOR CENTURIES AT THE LEGENDARY SHAOLIN TEMPLE. IN DEVELOPING HARD EXTERNAL FORCE LIKE IRON FIST IT IS NECESSARY TO APPLY DIT DA JOW TO PREVENT OR HELP HEAL ANY INJURIES. THIS MEDICINAL WINE IS USEFUL FOR RELIEVING INJURIES LIKE BRUISES, PAIN, SWELLING, BLOOD CLOTS, ENERGY BLOCKAGES AT THE SUPERFICIAL LEVEL, AND OTHER TRAUMATIC INJURIES SUSTAINED THROUGH HARD FORCE TRAINING OR SPARRING. A VERY USEFUL AND POWERFUL FORMULA FOR ALL CONDITIONING TRAINING. THIS FORMULA HAS A SWEET SMELL OF FRANKINCENSE AND EAGLES WOOD & A WARMING EFFECT THAT CAN BE FELT QUICKLY. Composed of a Blend of Cooling and Pain Killing Herbs, Blue Magic is an Ideal First use Liniment for Strains, Sprains, Pulls, Swelling, Blood Stasis, Inflammation, Muscle Soreness and Bruising. Best Used in the First 1 - 3 Days of a New injury or the Flare up of an old one. When the area is still Inflamed and Warm to the Touch. Blue Magic has a Fast & Powerful effect on Inflammation, Pain, Bruising & Swelling of Muscles & Joints from Fresh Injuries, as well as Flare Ups of Inflammation from Old Ones. We have experienced great results time and again from this liniment, and so have the Customers & Clinic Owners that use it. THOUGH I AM SURE YOU WILL SEE OTHER "COOLING MAGIC LINIMENTS, OR THE LIKE" POPPING UP SOON. THIS IS THE SECOND TIME THIS RECIPE HAS BEEN RELEASED TO THE PUBLIC. DON'T EXCEPT IMPOSTERS THIS IS A SCAR FAMILY RECIPE. THE FIRST TIME THIS LINIMENT WAS RELEASED IT WAS A LIMITED EDITION. WE ONLY SOLD A FEW SMALL BOTTLES BEFORE THE ENTIRE BATCH WAS BOUGHT BY CLINICS. THOUGH THIS LINIMENT IS NOT BEING RELEASED AS A LIMITED EDITION THIS TIME IT IS STILL NOT ADVISABLE TO WAIT, AS IT IS OFTEN BOUGHT BY THE GALLON BY CLINICS AND OUR WHOLESALERS IT TENDS TO GO QUICKLY. THIS IS A LINIMENT YOU SHOULD HAVE IN YOUR GYM BAG WAITING FOR AN INJURY. YOU SHOULDN'T WAIT FOR AN INJURY TO ORDER IT. 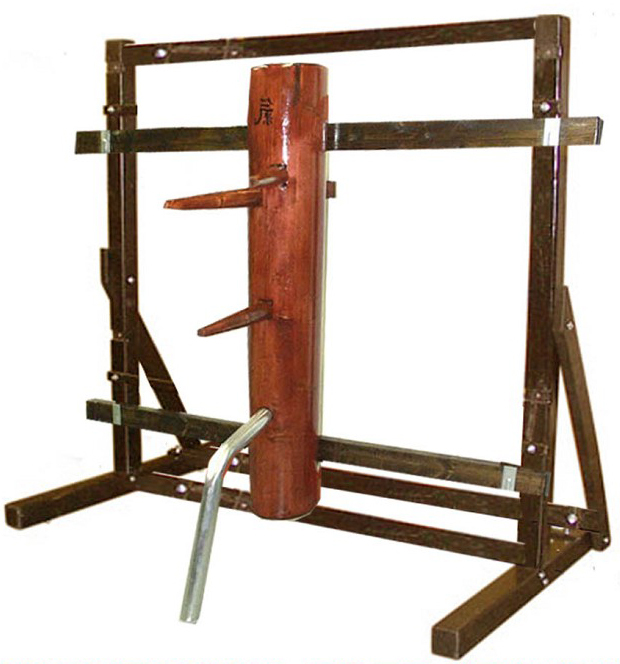 A POWERFUL DIE DA JIU(DIT DA JOW) IDEAL FOR ALL TRAUMATIC INJURIES FROM MARTIAL ARTS TRAINING. INCLUDING BUT NOT LIMITED TO BRUISE, STRAINS, SPRAINS, PULLS AND IMPACT WOUNDS. OR ANY OTHER INJURY THAT IS ACCOMPANIED BY PAIN, SWELLING, INFLAMMATION OR BLOOD STASIS. Translated as Gold or Golden Yellow - Harvest, Success or Reward - T.C.M. - Hit & Fall Wine. This Die Da Jiu is Our Take on a very Powerul Recipe of Traditional Chinese Medicine. Several Additional Herbs have been added to increase the Power and usefulness of this Die Da Jiu. Making it Suitable for the Devoted and Hard Training Martial Artist. One of the Herbs added was San Leng, an extremely Powerful herb used to Break up accumulations, Promote the Movement of Blood & Qi and stop Pain. Another was Ban Xia, a strong warming herb used in Die Da Jiu to Remove Dampness and Dissapate nodules. The Formula we used as a Base is a well know T.C.M. Formula. We have called our Modified Version Golden Harvest. Partially due to the Great Rich Color of this Jow. But Mainly Beacause it can also be translated as Great Success, Reward or Accomplishment. We truly believe that after years of Successful experimentation with this classic formula we have been rewarded with a Golden Accomplishment. An Extremely effective Formula that is amazingly Fast acting on Pain and Swelling. Suitable for all traumatic Bruises, strains, Pulls, Contusions and Swelling. It has a Rich Golden Color and a very Traditional Aroma. Try Golden Harvest Hit & Fall Wine on the next injury received during training and we know you will be impressed. Tendon Warming Liniment is a Useful Formula for the Treatment and Rehabilitation of Slow to Heal or Chronic Tendon, Sinew & Joint Injuries, Unlike most Die Da Jiu that Traditionally Contain A Balanced Mix of Cooling and Warming Herbs to Treat acute injuries from start to complete healing. Tendon Warming Liniment is Composed of a Blend of Very Warming Herbs. OR USE THE NAVIGATION BAR AT THE TOP OF YOUR PAGE. These Statements have not been evaluated by the Food and Drug Administration. These products are not intended to diagnose, treat, cure or prevent any disease. Not for use while Pregnant or breast feeding. You Are Legally Bound By the Agreement On Our Home Page To Cousult A Doctor Before Use And To Hold Scar Family LLC free from any and all liability.